Blog Two new Solar Systems Donated! It’s easy to take our electrical lighting for granted. Can you imagine arriving home from school after dark, to a home with no electricity! The children then eat dinner and settle down to finish out the evening with chores and homework in the dark. Without light in the evening, the children’s learning and exam scores suffer. According to the World Bank Fact Sheet, about 1.3 billion people live without electricity and are plunged into darkness when the sun goes down. The Orphanages of Kenya compound has no access to electricity. Only two options are available for providing light: Kerosene and Solar energy. Kerosene is a “dirty fuel”. It is expensive; a common cause of accidental fires; and again the World Bank Fact Sheet, indicates the smoke and soot production “cause respiratory illnesses that lead to premature death”. Solar energy is clean, renewable, and an inexpensive energy source. This spring we were able to purchase two new solar lights systems from “We Share Solar” and have installed them in the newly completed girl’s dormitory. The girls are so excited and are now able to see clearly in the dark and are able to continue to work on their chores, reading, and homework on into the evening. Our children desire to do well in their studies so that they might pursue higher education. By allowing them to study into the evening, they are better able to achieve this goal. 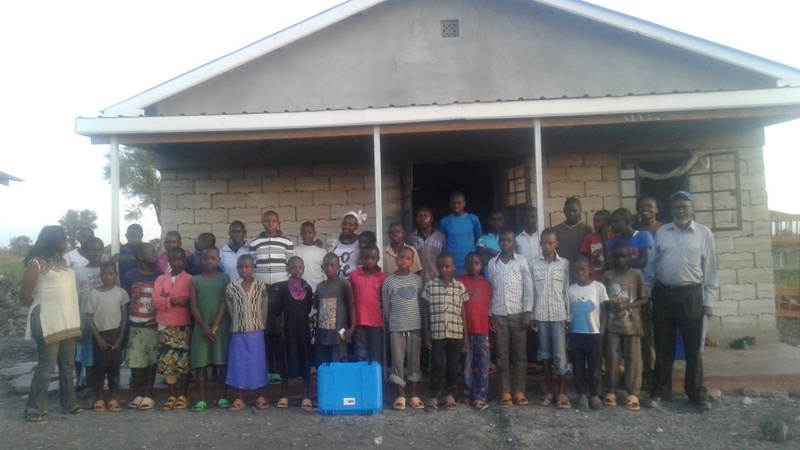 Pictured with the children in front of the new girl’s dormitory, is the Solar Suitcase kit from We Share Solar. We Share Solar obtained grants to put together suitcase size solar generators. They offer the kits to student programs who volunteer to assemble the generator kits as an education and global service learning program. The kits are then donated to deprived areas or sold to needy buyers like us! 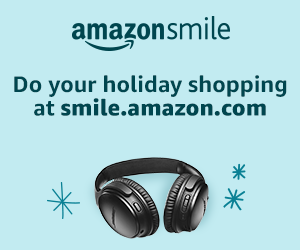 Thank you for making this all possible!